Alan Cook, Keith Lloyd, Dave Hunt. Gallery Remember Me. Alan Cook, Keith Lloyd, Dave Hunt. 1. Reg Nutbeam... ... 9. Keith... 10. Keith... 11. Bob Thomas,... 12. Alan Cook, ... 13. Dave... 14. Fareham Boys. 15. Fareham Boys. ... 96. Brian Keating. 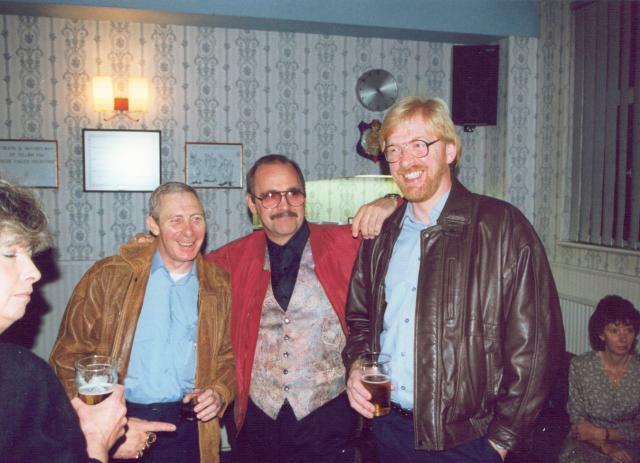 Left to Right: Alan Cook, Keith Lloyd, Dave Hunt at a social function. To the right is Sue Page, Dave Page's wife.